For other uses, see Script (disambiguation). The Script is an Irish pop band formed in 2001 in Dublin, Ireland. They first released music in 2008. It consists of lead vocalist and keyboardist Daniel O'Donoghue, lead guitarist Mark Sheehan, and drummer and bassist Glen Power. The band moved to London after signing to Sony Label Group imprint Phonogenic and released its eponymous debut album of the same name, in August 2008, preceded by the successful singles "The Man Who Can't Be Moved" and "Breakeven". The album peaked at number one in both Ireland and the UK. Their next three albums, Science & Faith (2010), #3 (2012) and No Sound Without Silence (2014), all topped the album charts in Ireland and the UK, while Science & Faith reached number three in the US. Hit singles from the albums include "For the First Time", "Nothing", "Hall of Fame" and "Superheroes". The band's fifth studio album, Freedom Child , was released on September 1, 2017 and features the UK Top 20 single "Rain". The Script's music has been featured in television programmes such as 90210 , Ghost Whisperer , The Hills , Waterloo Road , EastEnders , Made in Chelsea and The Vampire Diaries . Frontman Danny O'Donoghue was also a coach on The Voice UK for seasons 1 and 2, before leaving the show in order to focus more on the band. The band has won three Meteor Ireland Music Awards and two World Music Awards and have received two Brit Award nominations. 90210 is an American teen drama television series, developed by Rob Thomas, Gabe Sachs, and Jeff Judah, that aired from September 2, 2008, to May 13, 2013. It is the fourth series in the Beverly Hills, 90210 franchise created by Darren Star. The series was produced by CBS Television Studios. Ghost Whisperer is an American supernatural television series, which ran on CBS from September 23, 2005, to May 21, 2010. 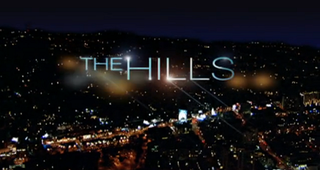 The Hills is an American reality television series that aired for six seasons on MTV from May 31, 2006, until July 13, 2010. Developed as a spin-off of Laguna Beach: The Real Orange County, the series aired six seasons and focused on the personal and professional lives of several young women residing in Los Angeles, California. Its premise was conceived by Adam DiVello, while Liz Gateley and Sean Travis served as executive producers. Danniel O'Donoghue and Mark Sheehan have been best friends since they were 12 growing up in Dublin. They were formerly part of a boy band called Mytown, formed in 1996. Striking up a songwriting and production partnership, they were invited to Canada to collaborate with some of their heroes, including Dallas Austin, Montell Jordan and Teddy Riley. They were in the US for a few years and got a record deal until the company split and dropped them. Mytown was an Irish boy band formed in 1996 by members Danny O'Donoghue, Mark Sheehan, Terry Daly and Paul Walker. They released one album, the epomynous Mytown and had a number of singles before splitting up in 2001. Two of the prominent members of the band, namely Danny O’Donoghue and Mark Sheehan went on to form the pop rock band The Script alongside Glen Power. The band members co-wrote their debut album. Dallas L. Austin is an American record producer, songwriter, musician, and film producer, born in Columbus, Georgia. Montell Du'Sean Barnett, known professionally as Montell Jordan, is an American singer, songwriter, record producer, and pastor best known for his 1995 single "This Is How We Do It". Jordan was the primary male solo artist on Def Jam's Def Soul imprint until leaving the label in 2003. Britney Jean Spears is an American singer, songwriter, dancer, and actress. Born in McComb, Mississippi and raised in Kentwood, Louisiana, she appeared in stage productions and television series, before signing with Jive Records in 1997. Spears's first two studio albums, ...Baby One More Time (1999) and Oops!... I Did It Again (2000), were global successes and made her the best-selling teenage artist of all-time. Referred to as the "Princess of Pop", Spears was regarded as a pop icon and credited with influencing the revival of teen pop during the late 1990s and early 2000s. Boyz II Men is an American R&B vocal group from Philadelphia, Pennsylvania, best known for emotional ballads and a cappella harmonies. 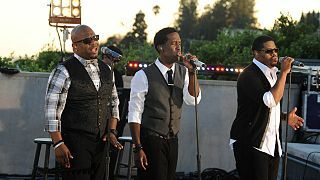 They are currently a trio composed of baritone Nathan Morris alongside tenors Wanya Morris and Shawn Stockman. During the 1990s, Boyz II Men found fame on Motown Records as a quartet including bass Michael McCary, who left the group in 2003 due to health issues. The Script performed "We Cry" for the first time on BalconyTV in Dublin on 13 September 2007. The band claimed that BalconyTV was the "first TV they ever did" and credited Michael Hunter as the "push we needed to propel us" when they won Best Band at the DanishTV Music Video Awards 2009 in the Pepper Club Dublin on 20 June 2008. At the awards the band said the award was their "first ever". The Script released their debut single "We Cry" on 25 April 2008. "We Cry" received "Single of the Day" on RTÉ 2FM, Today FM and by Jo Whiley on BBC Radio 1, where many radio presenters heavily supported the band. The single peaked at number 15 on the UK Singles Chart,  giving the band their first top 20 single. The track also performed well on the Irish Singles Chart, peaking at number 9 and giving the band their first top ten single in their home country. The Script also performed "We Cry" on one of the CW's TV series, 90210 . "We Cry" is the debut single by Irish band The Script. The single was released on 25 April 2008 and is said to be about people Danny knew in Dublin while he grew up. The song has received a large amount of publicity, airplay and interest with BBC Radio 1 heavily backing the band. RTÉ 2fm, or 2FM as it is more commonly referred to, is an Irish radio station operated by RTÉ. The station specialises in current popular music and chart hits and is the second national radio station in Ireland. Radio Ireland Ltd, trading as 100-102 Today FM, is a commercial FM radio station which is available nationally in Ireland. On 16 April 2010, their first U.S. single "Breakeven" was certified Platinum by the RIAA (the Recording Industry Association of America), selling over one million copies in the U.S. and has since peaked at No. 12 on the Billboard Hot 100 in the spring of 2010. The band performed a headline tour in the United States that kicked off in San Diego on 11 October 2010 at the House of Blues and ended on 7 November 2010 at the House of Blues in Boston, Massachusetts. On 21 May 2010, they appeared live on NBC's Today Show as part of the show's outdoor Toyota Concert Series. On 24 September, tickets for the Script's three nights at the O2 Dublin, two nights at the Odyssey, Belfast and two at the INEC, Killarney went on sale and sold out in less than 40 minutes, with over 60,000 tickets sold. On 1 October at 9:00am tickets for the Script arena tour in March 2011 went on sale. The tickets for all 12 arenas around the UK sold out in five days. They also announced that they would play a "Homecoming" concert at the Aviva Stadium in Dublin. This is part of the Science & Faith Tour and will be their biggest headline show to date. The band's third album was titled #3 . It was released in the UK on 10 September 2012 and in the United States on 9 October 2012. "Hall of Fame" was the lead single, which debuted on radio on 23 July 2012. It was recorded in Los Angeles, Studio 3, and released on iTunes on 21 August 2012. The single features will.i.am, whom Danny works alongside on The Voice UK . The song became their most successful to date, being certified 5x Platinum in Australia, Platinum in Italy, 2x Platinum in New Zealand, 6x Platinum in Norway, 2x Platinum in Sweden and 2x Platinum in the US. The song also peaked at number 1 in the UK, Scotland, Ireland, Europe and Austria, and charted in over 30 countries. It is their highest charting single to date worldwide. On 5 October 2012, the Script kicked off the Major League Baseball Postseason by playing a free concert at the MLB Fan Cave in New York City. The Script was nominated for Best International band at the 2013 BRIT Awards. On 5 September 2012, the Script embarked on a headlining concert tour to promote the album, known as the #3 World Tour. [ citation needed ] The tour spanned over 11 months and included shows in Europe, North America, Asia, and Australia, ending in August 2013. The band also went on tour with OneRepublic for their Native Summer Tour to promote the album, during the summer of 2014. Other singles from the album include "No Good in Goodbye", which was released on 15 October 2014 and "Man on a Wire" which was released on 15 March 2015. The band's tour for this album. titled the "No Sound Without Silence Tour" occurred from 16 January 2015 through 18 September 2015. Throughout the tour, the band played a total of 56 total shows, and performed within Africa, Asia, Europe, Oceania, and North America. Immediately after the tour, the band went on a nearly year-long unannounced hiatus. O'Donoghue didn't reveal this information until July 2017 and claimed that the hiatus occurred due to the band wanting some time off to "chill" after making four albums and going on five world tours. Shortly after this announcement, it was revealed that another reason the band went on hiatus was due to O'Donoghue needing throat surgery. The band returned to making new music in late 2016. Prior to the album's release, two promotional singles were released to further promote the album. On 25 August 2017, "Written in the Scars" was released as the first promotional single off the album. A few days later, on 30 August 2017, "Love Not Lovers" was released as the second promotional single off the album. Upon release, the album received mixed to negative reviews from critics upon release, but still managed top the charts in some countries. 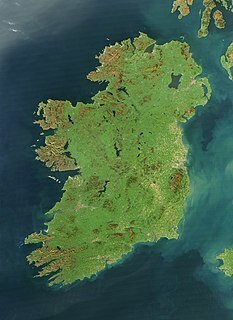 The album hit number one in Ireland, Scotland, and the United Kingdom, their third album to do so. The song "Arms Open" was released as the second single off the album on 13 November 2017. A music video for the song was released on 1 December 2017. The tour for the album, simply titled "Freedom Child Tour", has been occurring since September 2017 and is expected to wrap up in June 2018. On 16 March 2018, the band released a live cover of the Aslan song "Crazy World" featuring Christy Dignam, the lead singer of Aslan. On 17 March 2018, at a concert in Brussels, the band bought the whole audience a drink to celebrate Saint Patrick's Day. The 8,000 drinks were enough to set a new world record [ citation needed ]. The Cranberries are an Irish rock band formed in Limerick in 1989 by lead singer Niall Quinn, guitarist Noel Hogan, bassist Mike Hogan, and drummer Fergal Lawler. Quinn was replaced as lead singer by Dolores O'Riordan in 1990. The band officially classify themselves as an alternative rock group, but incorporate aspects of indie pop, post-punk, Irish folk, and pop rock into their sound. Boyzone are an Irish boy band. Their most famous line-up was composed of Keith Duffy, Stephen Gately, Mikey Graham, Ronan Keating, and Shane Lynch. Boyzone have had 21 singles in the top 40 UK charts and 22 singles in the Irish charts. The group have had six UK No.1 singles and nine No.1 singles in Ireland with 12 of their 24 singles in the UK being in the UK Top 2. Boyzone are one of the most successful bands in Ireland and the United Kingdom. In total, Boyzone had 19 top 5 singles on the Irish Singles Chart, 18 top 10 hits on the UK Singles Chart, nine No. 1 Irish hit singles and six No. 1 UK hit singles and five No. 1 albums, with 25 million records sold by 2013 worldwide. Mary Black is an Irish folk singer. She is well known as an interpreter of both traditional folk and modern material which has made her a major recording artist in her native Ireland. The Killers are an American rock band formed in Las Vegas, Nevada, in 2001 by members Brandon Flowers and Dave Keuning. Mark Stoermer and Ronnie Vannucci Jr. completed the current lineup of the band in 2002. The band's name is derived from a logo on the bass drum of a fictitious band portrayed in the music video for the New Order song "Crystal". Daniel John Mark Luke O'Donoghue is an Irish singer-songwriter known for being the frontman of the Irish alternative rock band The Script and as a coach on the first two series of the television singing talent show The Voice UK. "Breakeven" is a song by the Irish pop rock band The Script. It was released on 24 November 2008 as the third single from their first album, The Script (2008). The song peaked at number 10 in Ireland, number 21 in the United Kingdom, number 12 in the United States Billboard Hot 100 and number 3 in Australia. "Nothing" is a song by Irish pop rock band The Script from their second studio album, Science & Faith. The song was released as the second single on 19 November 2010. It was written and produced by Danny O'Donoghue, Mark Sheehan, Steve Kipner, and Andrew Frampton. The song charted at number 15 in Ireland, and at number 42 in the United Kingdom. In the US, the song debuted at #89 at the Billboard Hot 100, then rose to #73 the following week, #53 on its third week, before landing on to #39, on its fifth week. It later peaked at #32. #3 is the third studio album released by Irish pop rock trio, The Script. The album was released in Ireland on 7 September 2012, in the United Kingdom on 10 September and in the United States on 9 October. The album was preceded by the release of the single "Hall of Fame", a duet with Danny O'Donoghue's co-judge on The Voice UK, will.i.am. The album opened at #2 in the United Kingdom, and #13 in the United States, selling 24,002 copies. "Hall of Fame" is a song by Irish pop rock band The Script. It is the lead single from their third studio album #3. The track features American hip-hop artist will.i.am of The Black Eyed Peas. The track was given its first radio play on Capital on 23 July 2012. Written and co-produced by the band, the song is about following dreams and making an impact on the world. The song has been licensed for use in various media since its release. "If You Could See Me Now" is a song by Irish pop rock band The Script, taken from their third studio album, #3 (2012). The song video was released as the album's third single on 18 February 2013. The song was released on 4 March 2013. The track was written by Danny O'Donoghue, Mark Sheehan, Steve Kipner and Andrew Frampton. The song is an emotional tribute to O'Donoghue's late father – and to guitarist Mark Sheehan’s parents. For the very first time, Sheehan added vocals to a song. 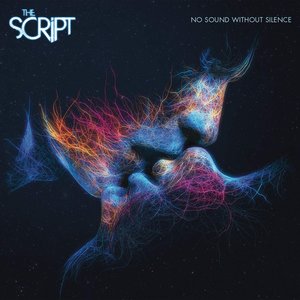 No Sound Without Silence is the fourth studio album by Irish pop rock band The Script. The album was released by Columbia Records on 12 September 2014 in Ireland and Friday-release countries and on 15 September 2014 in the United Kingdom. The album is the band's first full-length release under Columbia, after releasing their previous three studio albums under Phonogenic Records in Europe and Epic Records in the United States. "Rain" is a song by Irish rock band The Script. It was written by James Barry, Camille Purcell, Mark Sheehan and Danny O'Donoghue, with the latter two and Andrew Frampton, Jimbo Wallace, Max Farrar handling the song's production. The song was released on 14 July 2017, through Sony Music, as the lead single from the band's fifth studio album Freedom Child. Freedom Child is the fifth studio album by Irish pop rock band The Script. It was released via Columbia Records and Sony Music on 1 September 2017. ↑ Balfe, John (24 September 2012). "Album Reviews – Mumford and Sons, The Script". entertainment.ie . Retrieved 16 September 2017. ↑ O'Brien, Jon. "The Script – Science & Faith". AllMusic . Retrieved 16 September 2017. ↑ "The Script team up with will.i.am on new song – RTÉ Ten". Rte.ie. Archived from the original on 28 August 2012. Retrieved 7 November 2012. ↑ "The Script Biography". Allmusic . Retrieved 1 March 2017. ↑ "The Script – The Script (album review)". Sputnikmusic. 28 April 2010. Retrieved 7 November 2012. ↑ Bright, Spencer (2 August 2013). "Danny O'Donoghue leaving the Voice". London: The Daily Mail. Retrieved 1 November 2014. ↑ "Danny O'Donoghue and The Voice". BBC. 16 July 2013. Retrieved 1 November 2014. ↑ Day, Elizabeth (27 May 2012). "Danny O'Donoghue: 'I idolised Dad. I'd bring home my songs to him like paychecks'". The Guardian. Archived from the original on 1 June 2012. Retrieved 1 November 2014. 1 2 "The Script". The Argus. Retrieved 11 July 2013. 1 2 "The Script – Music Biography, Credits and Discography : AllMusic". AllMusic . Retrieved 15 July 2013. ↑ "Oh Danny boy! Script revel in chart success". The Independent. 26 November 2012. Retrieved 12 July 2013. ↑ Entertainment | The Script crown UK album chart. BBC News (17 August 2008). Retrieved on 3 March 2014. ↑ "Video Archive". Balcony TV. Archived from the original on 7 April 2010. Retrieved 7 November 2012. ↑ "The Script Win Best Band". YouTube. Retrieved 7 November 2012. ↑ "RCA Label Group (UK) / News / The Script – We Cry the Single of the Week". Rcalabelgroup.co.uk. Archived from the original on 27 March 2008. Retrieved 26 March 2008. 1 2 "The Script – We Cry – Music Charts". Acharts.us. Retrieved 9 February 2009. ↑ "The Script | GB | Music". Thescriptmusic.com. Archived from the original on 16 February 2009. Retrieved 9 February 2009. ↑ "The Script, Perry In Charge On U.K. Charts". Billboard. Nielsen Business Media, Inc. Retrieved 1 December 2009. ↑ "The Script – The Script – Music Charts". Acharts.us. 7 January 2008. Retrieved 9 February 2009. ↑ "Multi-Platinum Dublin Rockers The Script Release Third Album Today; First Single "Hall of Fame" (featuring will.i.am) Inspires Global Audience". Sony. Archived from the original on 2 July 2013. Retrieved 12 July 2013. ↑ "Talk You Down – Amazon". Amazon. Retrieved 12 July 2013. ↑ "The Script to write track for Leona Lewis". Digital Spy. 16 March 2008. Retrieved 23 November 2008. ↑ "The Script Setlist". Setlist.fm. Retrieved 11 July 2013. ↑ "Before the Worst – Amazon". Amazon. Retrieved 12 July 2013. 1 2 "Gig Archive—The Script | Live". Thescriptmusic.com. Retrieved 7 November 2012. ↑ "Kris Allen – Live Like We're Dying Lyrics and Video". Musicloversgroup.com. 17 September 2009. Retrieved 7 November 2012. ↑ "Victoria's Secret 2009". Vsholic.com. Retrieved 11 July 2013. ↑ "For The First Time". Itunes.apple.com. Retrieved 11 July 2013. ↑ "The Script". Thescriptmusic.com. 3 October 2012. Archived from the original on 25 July 2011. Retrieved 7 November 2012. ↑ Burke, Alexandra. "CHARTS ANALYSIS: The Script Lead in Week for Debuts." Music Week 25 Sept. 2010: p. 38. International Index to Music Periodicals Full Text. Web. 18 Feb. 2015. ↑ "The Script, Alexandra Burke top UK charts". NME . NME. Retrieved 12 July 2013. ↑ "The Script To Release Third Album, #3, On October 9th Available For... – NEW YORK, Aug. 21, 2012 /PRNewswire/". Prnewswire.com. Retrieved 7 November 2012. ↑ Bray, Elisa (5 October 2012). "The Script find a voice – LONDON, 05 October 2012 /The Independent/". London: independent.co.uk. Retrieved 2 December 2013. ↑ "The Script score their first UK No.1 with Will.i.am duet 'Hall Of Fame'". Gigwise . Retrieved 12 July 2013. ↑ "MLBFanCave.com Concert Series: The Script". 1 October 2012. Retrieved 1 November 2014. ↑ Wood, Stephanie (19 February 2013). "BRIT Awards 2013 nominations: all the names you need to know before the big ceremony". The Mirror . Retrieved 1 November 2014. ↑ "Mrs Brown teams up with The Script". Rte.ie. 21 December 2013. Retrieved 3 March 2014. ↑ "he Script announce new album details". Rte.ie. Retrieved 1 November 2014. ↑ "EXCLUSIVE: The Script save the world with their new single Superheroes". Dailystar.co.uk. Retrieved 1 November 2014. ↑ "The Script have released a new single called Rain and we had a chat with them about it: "It's a case of adapt and change or die"". Official Charts. Retrieved 14 July 2017. ↑ "The Script's Danny O'Donoghue on speaking for the first time after vocal surgery: 'It was an emotional experience'". EveningStandard. Retrieved 28 July 2017. ↑ "THE SCRIPT - UNITE #thescriptfamily". s7 vlog. Retrieved 5 January 2017. ↑ "Written in the Scars by The Script (New Teaser)". Raden Ayu Andini. Retrieved 8 June 2017. ↑ The Script (@thescript) (13 July 2017). "Rain". ↑ "The Script - Freedom Child". The Script. Retrieved 21 July 2017. ↑ Rodney "Rodfather" Alejandro. LinkedIn. Retrieved on 3 March 2014. ↑ "Homecoming – Live at the Aviva Stadium, Dublin [DVD]". Amazon.com. Retrieved 4 December 2013. ↑ "Global Awards Vote Open". globalawards.com. Retrieved 20 December 2017. "If You Ever Come Back"